I caught Indigo Velvet at Kendal Calling last year and I’ve been a fan of their vibrant, sunkissed indie-pop ever since. They are quite literally what I would call “the perfect festival band” – at Kendal Calling the rain started to pour and they brought so much sparkle and infectious energy that it was difficult to get them out of my head all day. Brought up playing football together before realising that wasn’t their bag, the band switched to playing music and instead embarked on the tour lifestyle when they were 17. From here the quartet bagged as many gigs as they could, playing in all corners of the country while taking advice from the best of the best. Fast-forward to 2019 and they’ve been extremely busy with more tours and attracting an impressive, growing fanbase. Playing a sold-out gig to 13,000 people at the Hydro and a set at The Big Feastival, which saw them hanging out with “Jo Whiley for a whiley”, were definite highlights to 2018 and it’s only set to get better. Oh and in case you are wondering, they say that Jo is lovely. 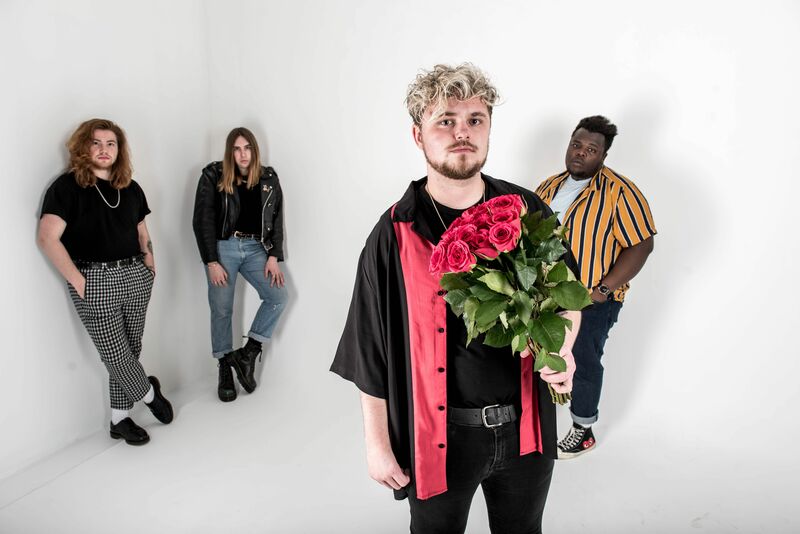 Currently in the midst of their latest UK tour, which I’ll be heading to on behalf of Popped when the boys play a now sold-out gig at Surf Cafe on 16th February, I caught up with them to see how things are going so far and what the plans are for this year and beyond. For those who haven’t heard of Indigo Velvet, you need to check them out immediately. If you’re a fan of gorgeous indie-pop with stunning African influences, they are your ideal band. I’d say that it was difficult to put the Scottish outfit into one set style and it’s something that they agree with. “Our sound is hard to narrow down to one genre but we just write and make feel-good pop music with an eclectic array of sounds. We focus mainly on the guitars, then the drums and bass sit behind to give it that massive ambient sound. We’re four best mates that just have the best time doing what we do and we’d like to think that comes across both in our releases and our live shows. One thing that I find really fascinating about bands is how their songwriting process works and this is especially true when it comes to Indigo Velvet. When I come across someone so unique and bringing that something different to the table – I need to know how it works and apparently there is time spent devoted to focussing on working through new song ideas where possible. Of course for each track, the songwriting process is different. Their latest song ‘Nineteen’ for example, was written quite quickly as it fell into place naturally. Part-fiction and partly reflecting on looking back on being 19-years-old, the single is the epitome of going out and having a good time with its upbeat vibe that the lads are going for this year. “When we try too hard – nothing happens, but usually it stems from Darren or Jason’s guitar parts, then adding the bass line and constructing the drums to underlay the song. Darren spends a lot of time on his own writing the lyrics and brings them to the table. 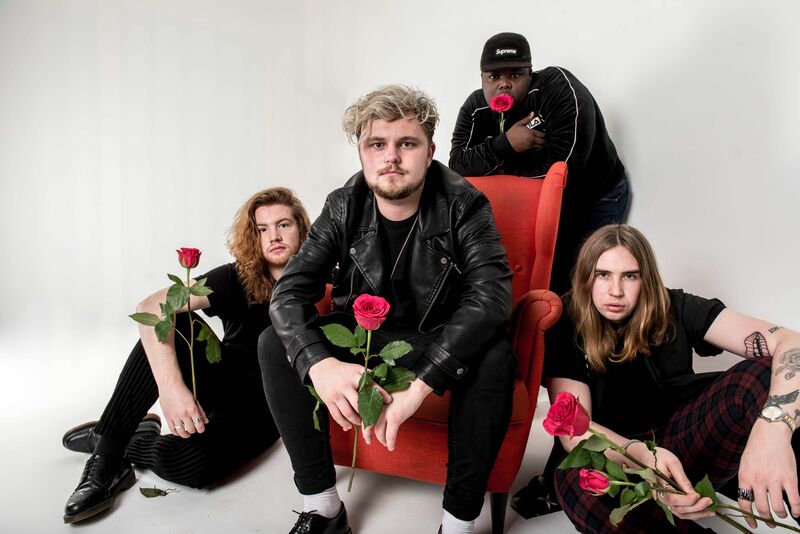 It seems that the time to catch the latest tracks from Indigo Velvet is whilst they are on tour and that’s exactly what they are doing at the moment. With dates in Leeds, Tynemouth and Sheffield, it’s set to be a raucous affair – yet I couldn’t help but ask where they were looking forward to playing the most. “We love playing everywhere and audiences in England are always well up for it. We particularly enjoy Leeds and Manchester, and the Highlands too, just from past tours we always get a big, really enthusiastic audience, it’s amazing when that happens. Even if you can’t make them this time around, don’t worry. Lots of touring and festivals are on the cards for both the UK and mainland Europe this year and they’ll be bringing out some new music which is always fantastic to hear. One thing I always find myself asking bands when I interview them is what are the difficulties? We idolise band members and expect them all to live this crazy rock and roll lifestyle, but it isn’t always the case. I think it’s so important to especially look at bands who might not have been on the scene for very long and hear about how there are challenges to overcome. Luckily, Indigo Velvet were happy to shine a light on their own experience. “It’s amazing being in a band and getting to tour all over, but it’s definitely hard work, especially as we’ve all got day jobs. Aside from the constant struggle trying to raise enough money to tour all the places and do all the things we want to do, choosing what and when to release can sometimes be difficult. 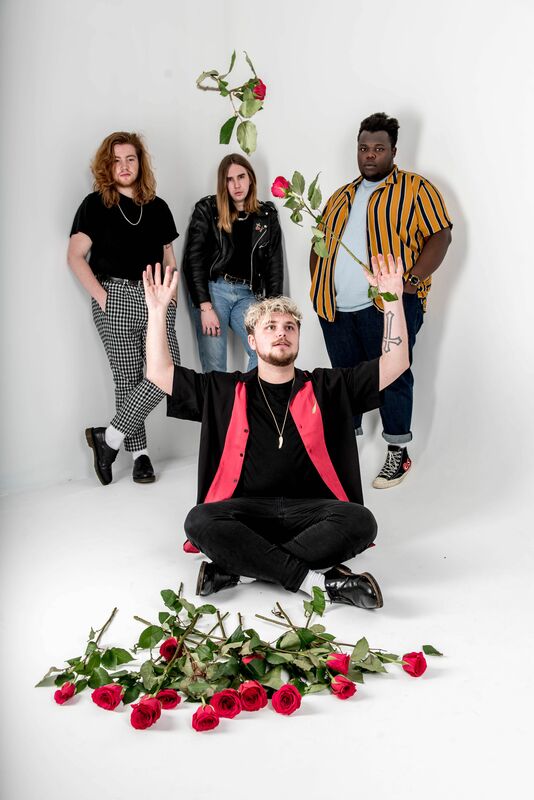 But the slight negatives are all part of the parcel – the guys love what they do and they are very much here to stay and perform to different audiences across the UK. I always finish my interviews on with a ‘where do you see yourselves in 5 years time’ and this interview was no exception! For details on tickets for Indigo Velvet’s live dates, visit the Eventbrite page.